If it’s not clear why a Government announcement of ‘no new mines on conservation land’ could be almost immediately followed by a story about a ‘mine granted consent on conservation land’, read on. A great spotted kiwi chick. The simple answer is that the proposed Te Kuha opencast coal mine near Westport has just been granted resource consent from the Buller District Council and the West Coast Regional Council. The company still needs permission from the land owners to dig up that ground. In this case, that landowner is you – the public of New Zealand. Anyone looking up towards the forested mountain top from Westport, or from the iconic Buller Gorge, might assume that the agency looking after this place on your behalf is the Department of Conservation. The land is pristine and untouched. 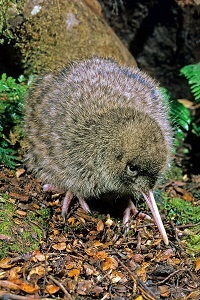 Great spotted kiwi live here, along with a host of other species threatened and at risk of extinction: South Island fernbird, West Coast green gecko and the beautiful and rare forest ringlet butterfly. However, only a 12 hectare sliver of the approximately 150 hectares that would be destroyed by the mine is actually conservation land. Instead, most of it sits under the auspices of the Buller District Council as a special purposes reserve. 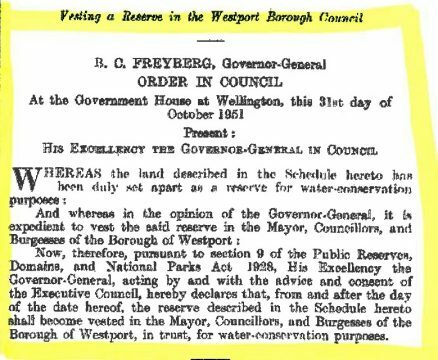 This was set aside way back in the day for water conservation; intended but not used for the Westport water supply. And the result is that a land of 500 year old trees which looks like conservation land, acts like conservation land, and ought to be conservation land – is not. When Stevenson Mining asked the Buller District Council if they could dig up the water reserve to mine coal, the Buller District Council said yes, initially. Forest & Bird sought a judicial review of that decision. That was because this is still public land, and the Council has restrictions on what they can do. The Reserves Act of 1977 (which is administered by the Department of Conservation) requires the Council to maintain the natural resources of the reserve. It’d be hard to do that while destroying the place. The Council withdrew its permission, but then the mining company sought a declaration in the High Court arguing that the Crown Minerals Act overrules the Reserves Act. They say that piece of legislation would allow the Council to consider (or choose not to consider) whatever it wants when deciding what to do. Forest & Bird argued against that in court in October 2017 and a decision is expected soon. This all highlights one of the problems with mining in New Zealand. We subsidise this planet destroying behaviour by giving it special treatment under our laws. The Councils that granted the Te Kuha resource consent were prevented from considering the climate change impacts of the coal that would be dug up. The Council which wants to let a coal company destroy a public reserve may be given free reign to ignore the most relevant law guiding the area’s management. The Te Kuha mountain with Westport in the distance. And the Government which will decide what happens to that sliver of land which did make it into the conservation estate? The law was changed in 2013 so that mining gets favoured treatment compared with other activities on conservation land. 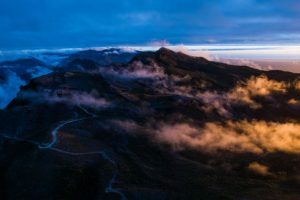 The decision now involves the Minister of Energy of Resources – Megan Woods – as well as the Minister of Conservation – Eugenie Sage – and they are required to consider the economic benefits of the mine. Those economics have been overstated; as they often are. The environmental damage is always greater and longer term than decision makers are able to accept. It’s hard not to have sympathy for out of work miners. But the Buller District needs help to instead transition to a sustainable economy. This is no pipe dream; just one local tech company has gone from two to nine employees in the last twelve months alone. It doesn’t take too many of those to equal the company’s claim the mine would create 58 temporary jobs. This is the 21st century. Coal is a dinosaur industry. We need all the forests (and kiwi habitat) we have left. Forest & Bird will continue to lead the fight against this mine and we appreciate all the support we’ve had from our members and supporters in this campaign. 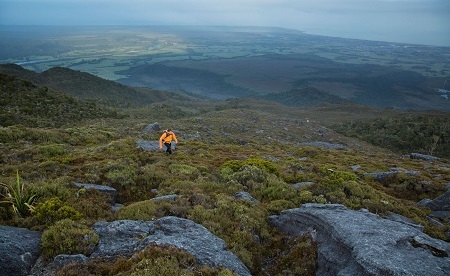 Because the land belongs to the public, it’s especially important that the fate of Te Kuha be up to you. 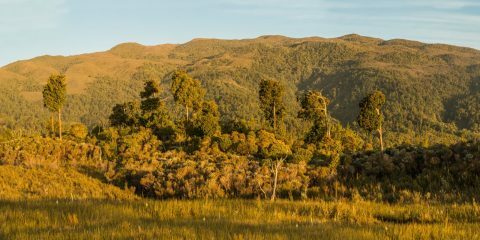 To that end, the folks at 350.org have set up a petition calling on the Minister to refuse the company permission to mine conservation land. As of the 27th November 2017 this petition is being signed at a rate of knots. You could do worse than join in. Lynley Hargreaves has contributed 1 entries to our website, so far. View entries by Lynley Hargreaves.